Is there a hunk of junk of your property? Give yourself some space and your grass some room to grow. 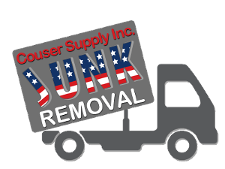 The junk removal specialists in Couser Hauling in Reston, Virginia, provide prompt trash and rubbish pickup for commercial and residential customers. Whether you have junk in your attic or a mound of trash on your lawn, we have the team and the equipment to take it off your hands. There’s no need to use a pickup truck to take it to the dump. You may end up having to make multiple trips, and you’ll spend gas money in the process. At the same time you’ll have to do all of the work. Why not use our company that does everything for you? We offer affordable, friendly, and efficient junk removal service. The city or county trash service requires you to put your junk and trash on the side of the road before pickup day. This is not only a hassle for you, but your junk could be sitting by the curb for as long as a week. At the same, lifting heavy materials or a lot of trash is a burden on your back. Let us do the heavy lifting. 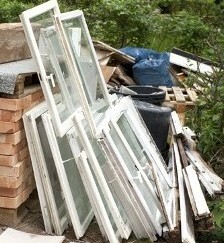 It may be hard to believe that there is such a thing as junk removal specialists, but it’s true. It takes more than a few good men and a truck to provide high-quality services. As a family-owned company, we offer more than simple trash removal. Instead, our team is fully trained, friendly, and always respectful of you and your property. We go out of our way to the get the junk off your hands. We even provide same-day services. Contact us for same-day junk removal when you can’t wait until next week for the city trash service. We proudly serve residential and commercial customers in Reston, Virginia.